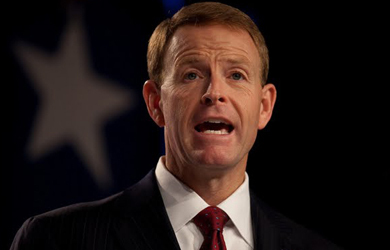 In testimony to a Senate subcommittee today, Family Research Council President Tony Perkins linked the Hobby Lobby contraception coverage case to violent religious persecution in the Middle East and around the world, repeating his claim that there is a “correlation” between perceived discrimination against conservative Christians in the U.S. and oppression and violence against religious minority groups by groups like ISIS. 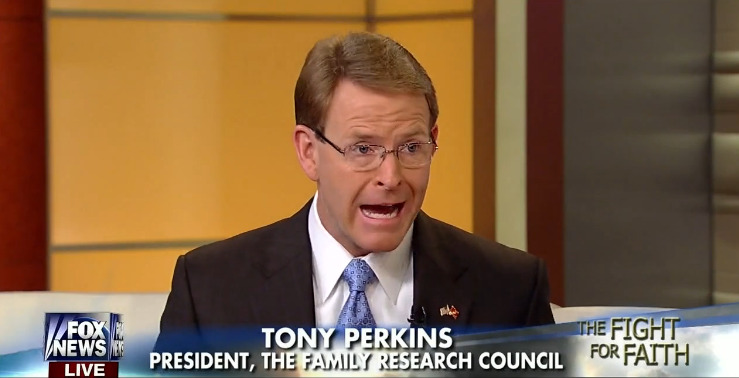 As we noted yesterday, Perkins was a troubling choice to testify in an international religious freedom hearing because he routinely exploits the very real persecution of Christians and other religious minorities throughout the world to attack President Obama and the LGBT rights movement, who he claims are persecuting Christians in the United States by preventing them from discriminating against gay people. “I mean, you look at the case of the HHS mandate, the Hobby Lobby case, which had to go all the way to the Supreme Court in order to exercise their religious freedom under the Religious Freedom Act,” he added. 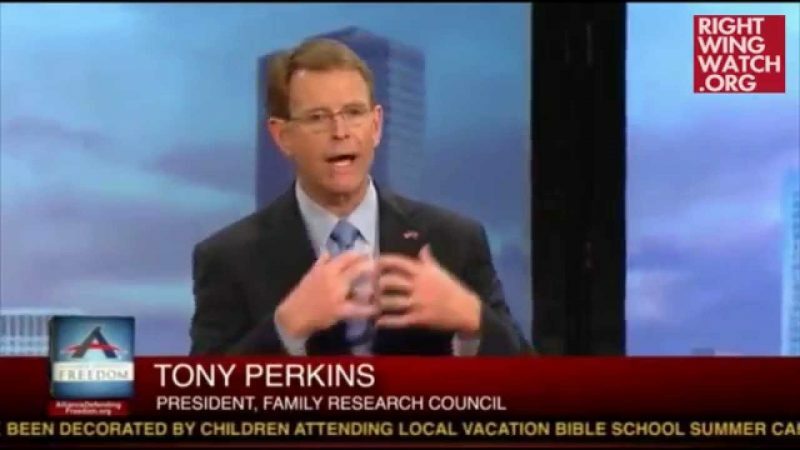 This isn’t the first time Perkins has made such an absurd claim: He once suggested that President Obama’s support for overturning the Citizens United decision is somehow connected to the violent persecution of Christians in countries like Sudan. Earlier in his testimony, Perkins also claimed that the Obama administration had left open the position of ambassador-at-large for international religious freedom for “36 months,” sending “a message that we did not put a priority as an administration, as a country on religious freedom.” The position was indeed left open for a little over two years at the start of President Obama’s first term…because then-Sen. Jim DeMint, a Republican who now runs the Heritage Foundation, placed a hold on Obama’s first nominee for the job.